I have been inactive in the Style Challenge, sadly. This was supposed to be : long sleeved tee, statement necklace, skinny jeans and black heels. What it turned into was comfy sweater, leggings, boot socks and beanie. Oops. But I took a picture of the evidence of me not participating properly because it was all frosty and pretty outside. 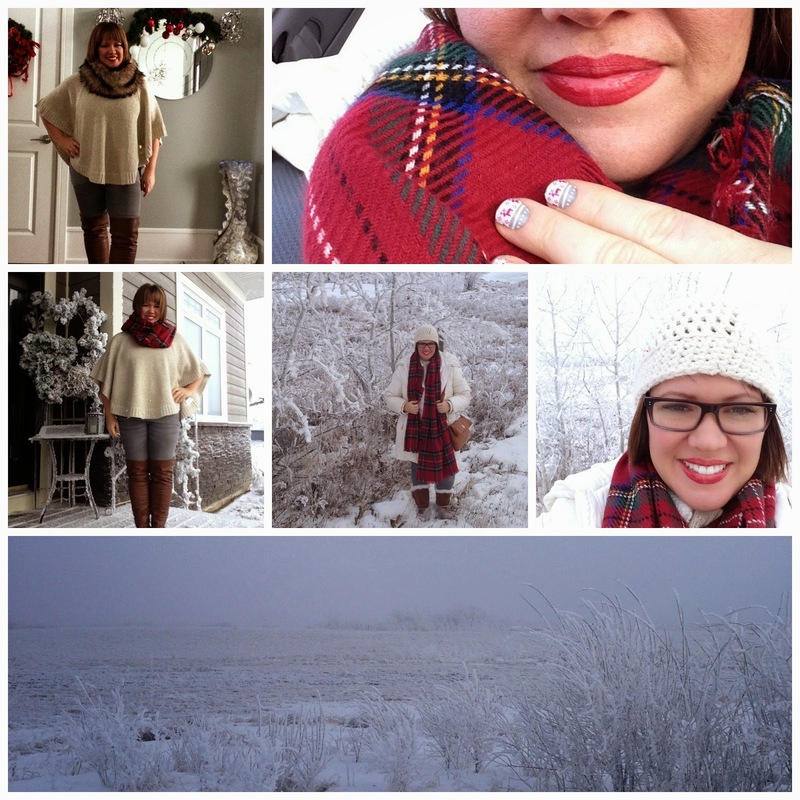 This was my favourite look this week: tunic sweater + plaid scarf + leggings + UGGs + Boot socks. I dressed it up a little. I just got the shirt from Nordstrom and wore it for the first time to Grams' funeral. It got tons of compliments, so I recreated the outfit for a night out with the girls. Sunday was a most wintery beautiful day and I was feeling awesome, so I did the OOTD: poncho, neutral top, grey jeans, riding boots and boot socks. I love the poncho outfit. Of course. Well and really of then! can't wait to see you in a poncho! Love your looks...and your model pics!! You in the snow? Fab!! Blow it up!! I'll have to check out that shirt! Have a Merry Christmas with you and your beautiful family! I agree with Katie - you look extra gorgeous in the snow! I really like your new shirt. Such a beautiful family! Wishing you a very Merry Christmas! 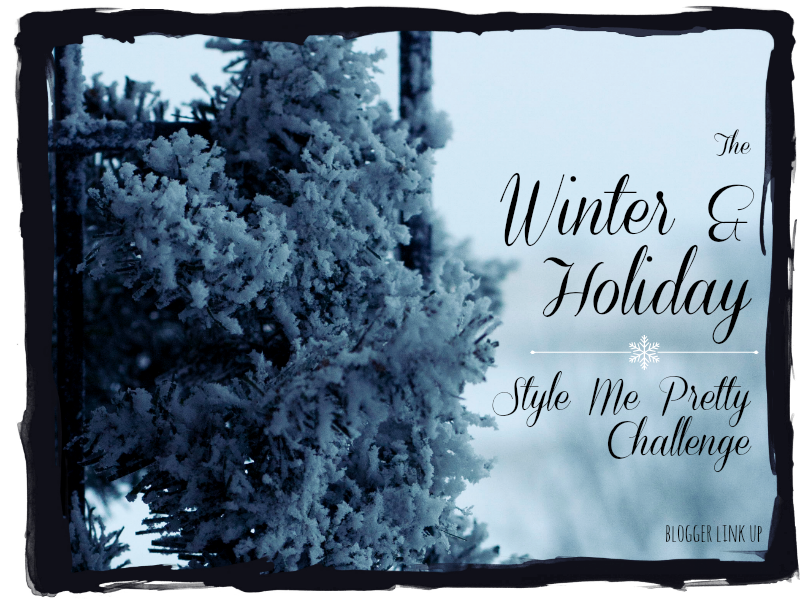 So glad to have met you through the style challenge. The tartan plaid and winter wonderland look is my favorite. I love your style and am glad we're working together. Merry Christmas! Have been thinking of you, Deena. So glad to see your post. Love the tunic with the purple pattern and really like your poncho. Merry Christmas, sweet one.